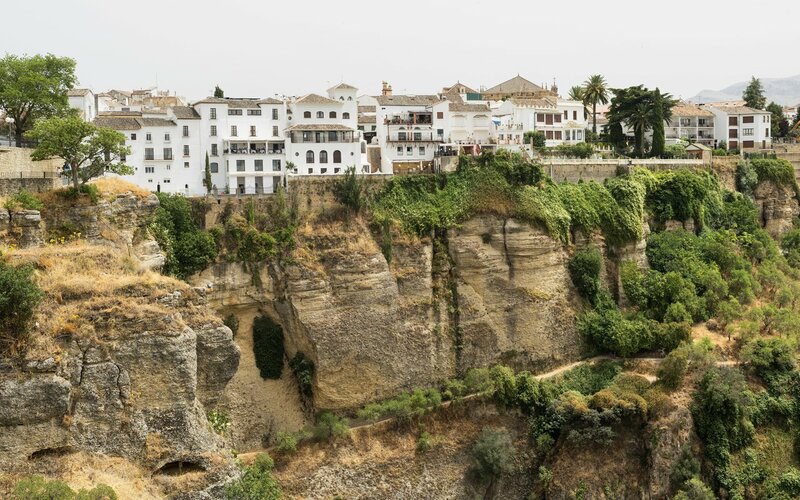 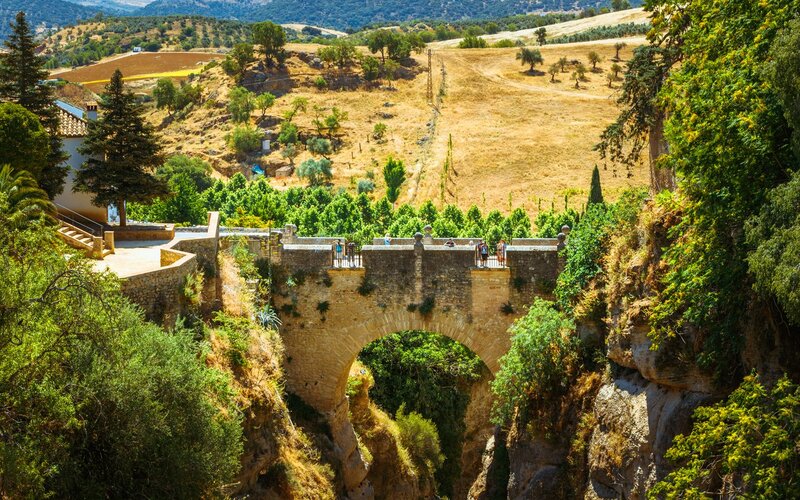 Puente Viejo is the oldest and smallest of three bridges that span the 120-metre deep chasm that carries the Guadalevín River and divides the city of Ronda in southern Spain. 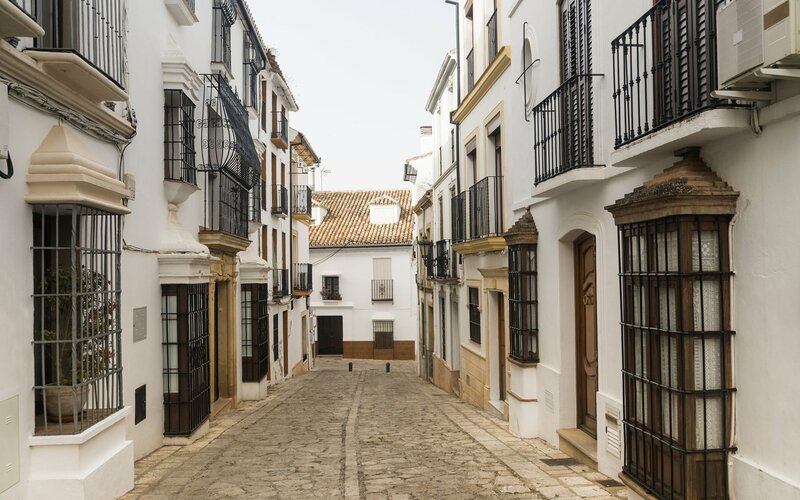 It was built in 1616, and currently only carries pedestrian traffic. 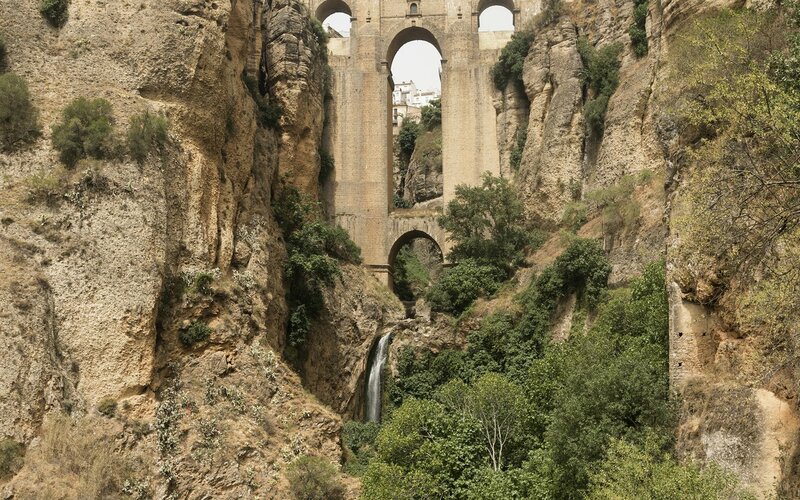 You can continue your journey from the Puente Viejo towards Puente Nueve.